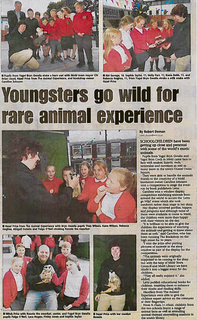 "A huge thank you, pupils have been raving about you and your animals. A really worthwhile, educational experience …"
"Thank you for coming to Cottenham primary school. It was an amazing experience for the children. To see their faces go from trepidation to wonder to elation as they first observed, touched and then held the reptiles was priceless. Thank you for your professionalism, care and ability to read and monitor the children's emotions." "Had a fantastic day today. 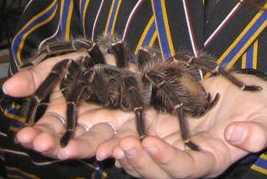 The Animal Experience traveled all the way to Carnforth to visit my son's school. They were fantastic and I know my son and all the children loved it. I would advise anyone who lives near them or works in a school to either visit or book them. They are brilliant!" "Just a quick email to thank you for your fantastic African Day at Forest View. All the children and staff thoroughly enjoyed it! It was such an exciting and interesting experience for the children and one I am sure they will never forget. I have attached a letter written by the children as they wanted to say thank you in person. Since your visit we have produced some fantastic written pieces based on your visit and are looking forward to producing fact files on a variety of the animals we met!" "Thank you for bringing the Reptile Experience back to our school. It was a fantastic success, as it was last year, and the students were talking about it days later. We hope to see you again in the future …"
The Animal Experience offers school children of all ages a unique educational opportunity to learn about a wide variety of rare and endangered creatures within the safety of their own school. Our wide selection of animals, from milksnakes to meerkats, tarantulas to tree frogs, and eagle owls to 4m long python allow us to offer a hands-on experience that the children will never forget; fun but informative we take the opportunity to teach about the individual animals, their natural environments, the unique adaptations that allow them to survive, and related topics such as environmental issues and biodiversity. We can tailor-make our sessions to incorporate your requirements and the needs of the national curriculum, both in terms of the animals we bring and the format of the session. One option that is popular is a display in assembly followed by attendance class-by-class, allowing the children to get up close and hands-on with animals they may never have seen before. 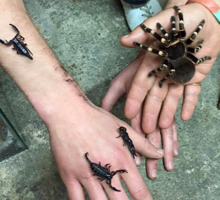 A visit from The Animal Experience can provide an excellent practical aspect to a wide variety of school projects whether they are specifically about wildlife, or about topics such as the rainforest or Africa. See for example our African Experience package. Other topics we are commonly asked to cover include Reptiles and Mini Beasts, Predators, Camouflage, Adaptation, Habitat, Meerkat Mail and Rainforests. We are passionate about teaching children about our animals and have run hundreds of sessions at schools over the past 24 years. Our sessions are always very popular, and many of the schools we visit have us back again and again. As well as schools we also offer events at other educational venues such as universities and veterinary colleges. We hold a range of relevant qualifications (see About Us), are fully insured and have a risk assessment to download. Our prices start at just £350 (+VAT) for the entire school day and we travel nationwide (extra charge for distance travelled).